We’re at the Institute of Cryptoanarchy Hacker’s Congress, Paralelni Polis, in beautiful Prague (5th – 7th October). It’s a massively popular event, with all tickets sold out three months ago. Coinmate is glad to play its part to support our industry by being a main sponsor there. If you didn’t manage to get tickets, you can stream it live, including one of our Coinmate speakers. 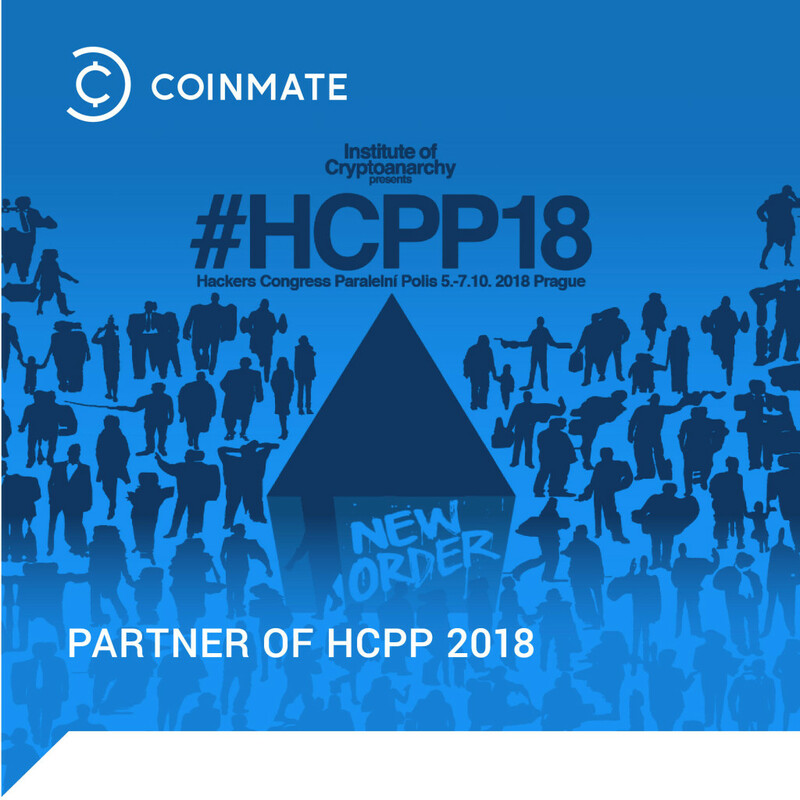 If you will be there, then be sure to visit Coinmate at our stand. We’ve got some wonderful surprises for both new and existing clients. But most of all we’d love to see you and have a chat.